SAFE POWER SUPPLY: Ender 3 Pro comes with a UL Certified power supply, protecting your printer from unexpected power surges, that can heat the hot bed to 110℃ in just 5 minutes. RESUME PRINT FUNCTION: Ender 3 Pro can resume printing from the last recorded extruder position after suffering unexpected power outages. SEMI-ASSEMBLED KIT: several assembled parts This easy-to-setup kit comes partially assembled, allowing you to learn about the basic construction of 3D printers as you finish putting it together. A fun STEM educational experience in mechanical engineering and electronics. 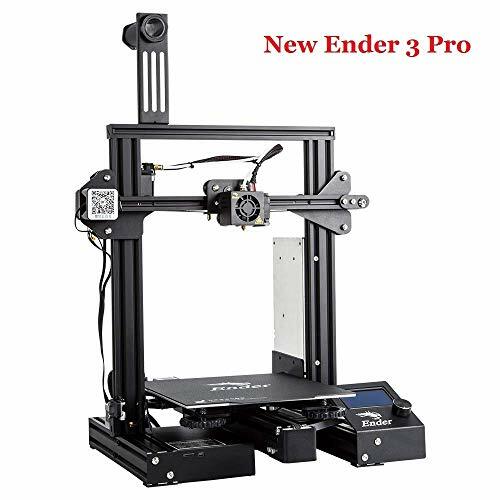 WHAT YOU GET: Ceality 3D Ender 3 Pro 3D pinrter, 12 months warranty, lifetime technical assistance and 24 hours professional customer service.